Beautiful home in COTSWOLD! It is definitely a MUST SEE and won't be on the market long. It features a spacious open floor plan, 2 story great room, lovely details, large rooms, open loft, and so much more! Gourmet kitchen with island, double oven, formal dining room, and breakfast area. Master Bedroom down w/ tray ceilings and updated bathroom. 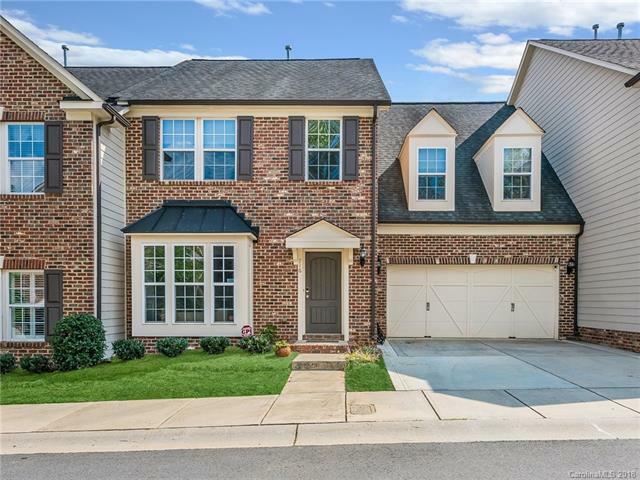 UPGRADES INCLUDE: fresh interior paint, exterior paint (2016), freshly cleaned carpets, bathrooms, all light fixtures, privacy fence, new front lawn landscaping, new HVAC (2016), safe in laundry room, storage in garage, and custom master closet to name a few. Private patio w/ fence and small yard. No maintenance. Great areas for walking. Convenient to shopping/dining/entertainment options, Southpark Mall, airport, Independence Rd, and major interstates. Convenient to brand new greenway extension for walking and biking (near Mint Museum). See attached feature list!